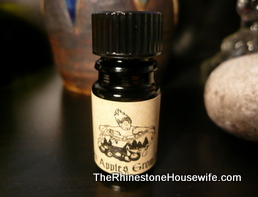 Arcana is a highly regarded and respected indie perfume oil company out of Oregon. Having just released a new collection, Queens Of Snow And Air, we are bringing reviews to you as we can. Today we are reviewing Seven Apples Grow In Ice. Seven Apples Grow In Ice-Honeyed winesaps and green apples with pearl musk, skin musk, white pepper, and a tiny hint of frozen grapefruit. In bottle: Apple and a dash of white pepper. Wet on skin: The apple and pearl musk are right up front with just a touch of the frozen grapefruit. As is settles down the skin musk makes an appearance and the apples mellows a bit. Dry on skin: The pearl musk is front and center as this blend dries down with the crisp apple just hovering around the edges. The cold citrus and skin musk are the perfect compliments for this blend and the white pepper is a stroke of pure genius. Verdict: It’s no secret that I love a great apple blend and this is one of the best. Not cloying for fruit spray smelling, it’s a gorgeous and grown up blend. Spicy, rich and luxurious smelling….you need it! This is a limited edition collection so be sure to get it while you can!